It’s no secret that I’m a cookbook hoarder. Every time I try to “declutter” my collection I end up tossing one or two books, only to replace them with another three or four. But it’s the cookbooks that stay in my collection, the ones with dog-tailed pages and olive oil spilled across the pages that hold a special place in my heart. After owning it for just a few weeks, The New Greenmarket Cookbook easily earned a treasured place. Written by Gabrielle Langholtz, the book features 100 recipes that celebrates each and every season. Beyond the recipes, The New Greenmarket Cookbook includes 20 stories of the faces behind the produce. It’s a both a tool and guide as well as a weekend read. Stories of Greenmarket farms and fishers, millers and bee keepers. The book is not just a collection of recipes and path through the seasons but a celebration of local food and precisely where it comes from. 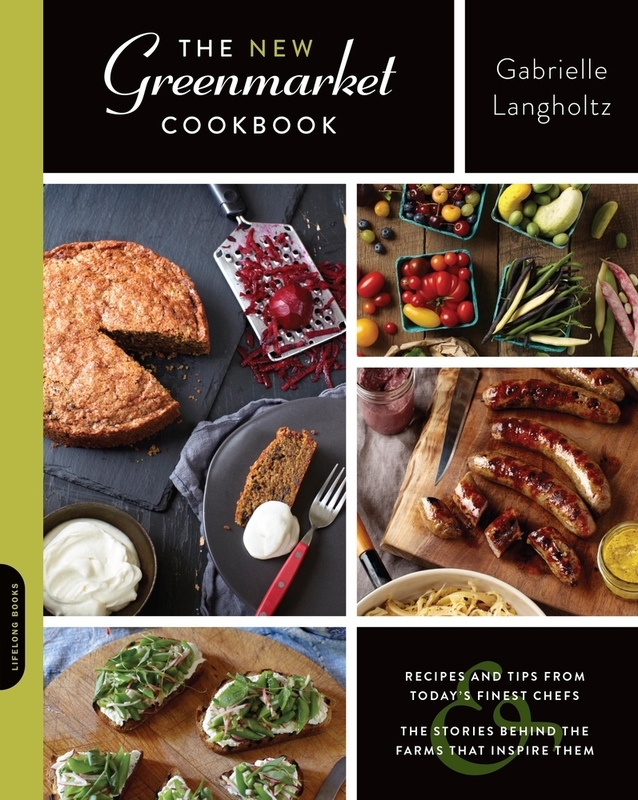 The New Greenmarket Cookbook features dozens of New York’s favorite chefs and food icons including recipes from Michael Anthony, Mark Bittman, Melissa Clark, Amanda Hesser, Michael Pollan, Eric Ripert, Bill Telepan and so many more. If you love shopping at farmer’s markets, or especially the New York City Greenmarkets you’re going to love The New Greenmarket Cookbook. It celebrates the ideals of locavorism–foods of the season and the relationships that bring the harvest to us through delicious recipes that provide elevated flavors but simple preparation. I love when cookbooks are covered with stains- that’s how you know they’re good! I have the same problem – way too many cookbooks – it seems I can never have enough! And then half of time I end up finding recipes online too!